Ready for a city break? Why not pack your weekend bag and head to one of Croatia's cities where you can explore ancient ruins, wander through cobbled streets admiring the charming architecture or spend some sunny days relaxing on the beach? Here's our guide to the top cities in Croatia to visit! Situated in the south of Croatia, the ancient city of Dubrovnik – also known as the ‘Pearl of the Adriatic’ is one of the most popular cities in Croatia to visit. 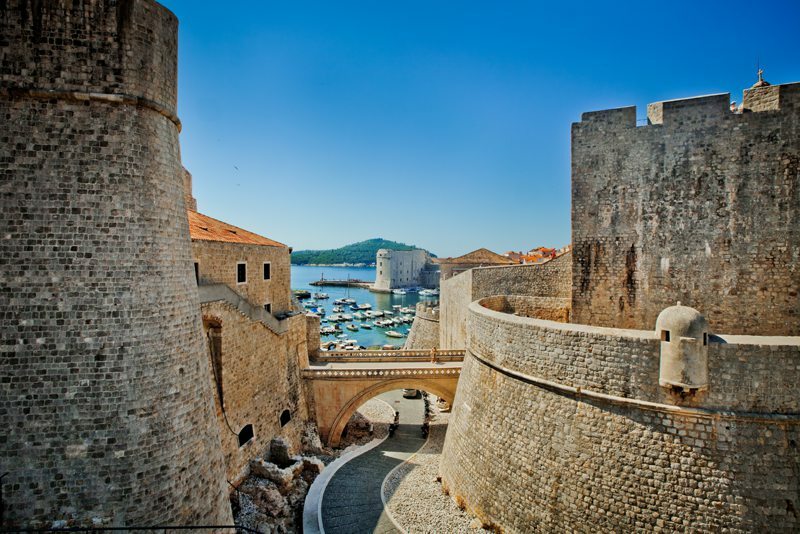 The impressive historical architecture features in the old town are really something to be seen and much of the walled old city, the tiny cobbled lanes and stone houses are often featured in the famous Game of Thrones television series. Walks around the city walls will unveil churches, monasteries, museums and shops and then once the sun goes down the squares come alive with bustling restaurants serving delicious local seafood and thirst quenching cocktails. See all villas in Dubrovnik. 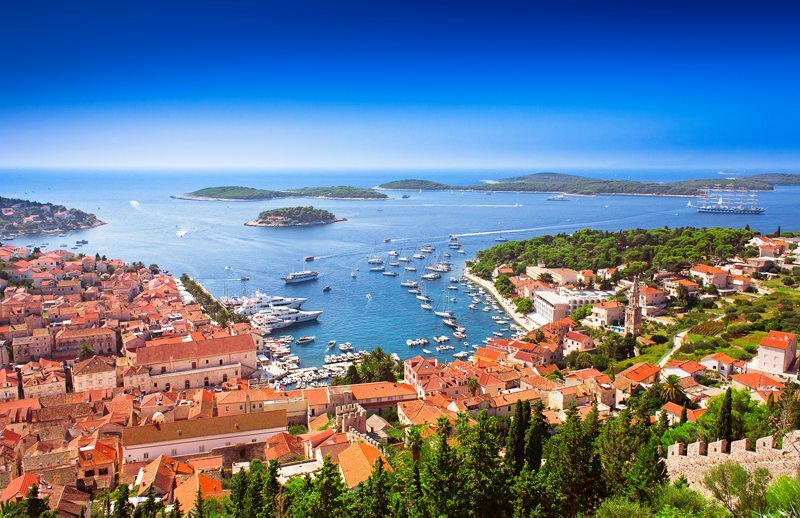 Stunning beaches, pedestrian marble stone streets and gothic palaces make Hvar one of the most attractive cities in Croatia. This beautiful Croatian island off the Dalmatian Coast is lined with superb restaurants and gorgeous hotels where the town square is one of Croatia’s most impressive and is surrounded by some outstanding historic buildings such as the 17th century Arsenal and the Cathedral of St. Stephen. The city comes alive at night where parties go on until the early hours – especially so in the summer months between June and September. Croatia’s capital and largest city Zagreb is located along the Sava river in the northwest of the country. Divided into an Upper and Lower Town, the city is fast becoming a cosmopolitan hub for culture, arts and music. Head to the Upper Town to wander the narrow romantic cobblestone streets and visit churches, museums and the Lotrščak Tower where a cannon is fired daily at midday. 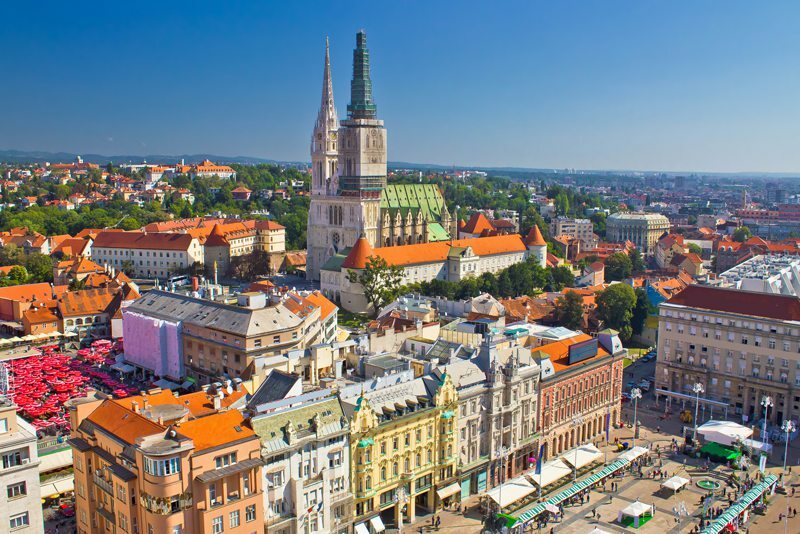 Zagreb is the ideal city break for strolling around the town, taking in the sights and stopping off for a coffee with the locals. 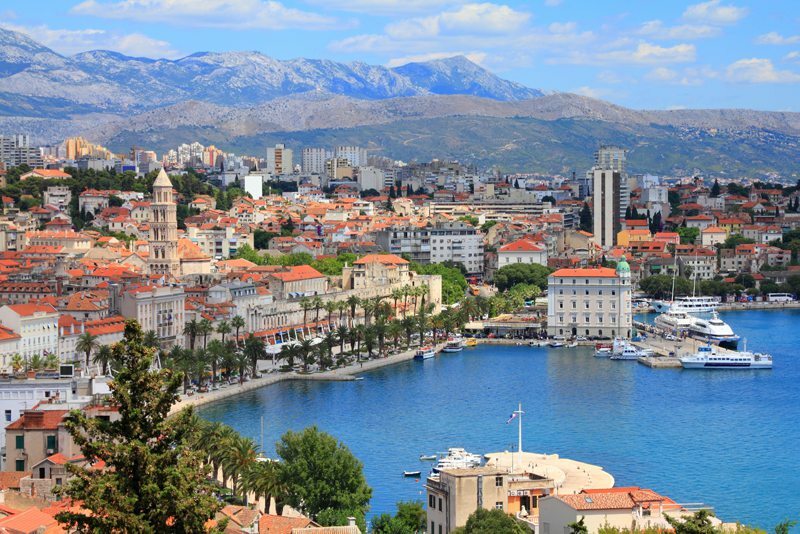 The lively city of Split on a peninsula off Croatia’s Dalmatian Coast balances tradition and modern culture and the impressive scenery of the white fronted buildings against the turquoise blue waters and lush green mountains. 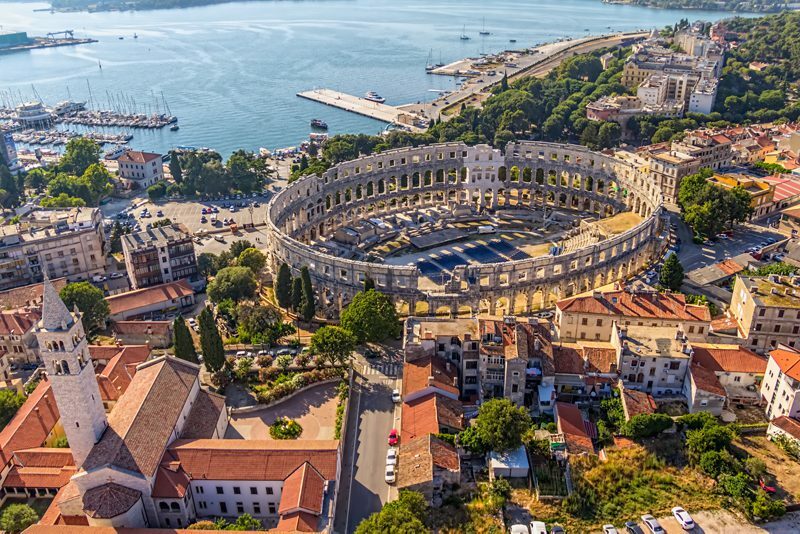 Split’s main attraction is the Diocletian’s Palace, a dramatic Roman ruin facing the harbour and the heart of the city where you will find heaps of busy little bars, restaurants and shops. 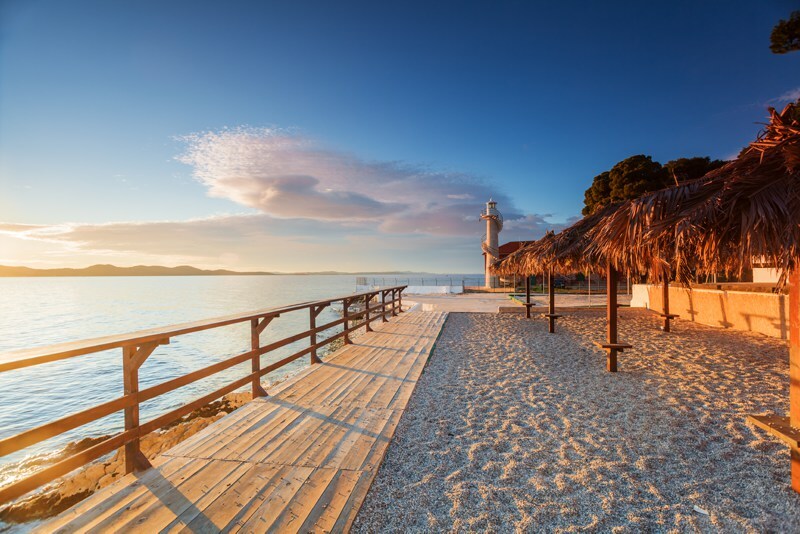 Beaches are popular in Split too, Bacvice Beach is only a few minute walk from the ferry terminal and offers a wide stretch of sand with shallow clean and clear sea. 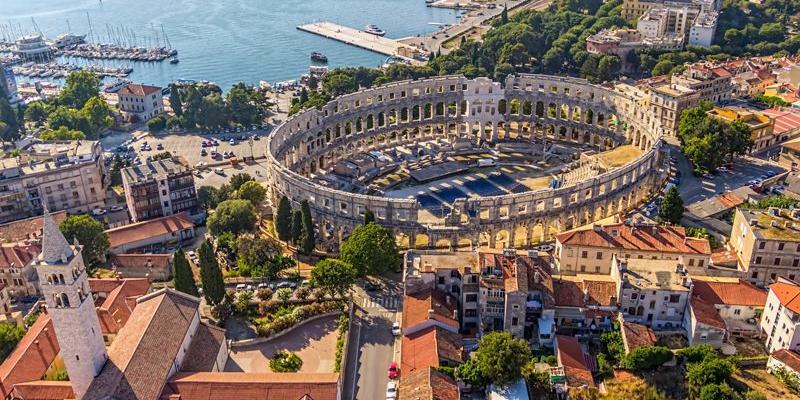 The home of an amazingly well preserved Roman amphitheatre, Pula is a seafront city on the tip of Croatia’s Istrian Peninsula. With nearby beaches on the Verudela peninsula like Valkuna Beach, Hawaii Beach and Debeljak Beach – spend your summer days relaxing in the sun and then head back to catch an open air gladiator performance or a concert at the arena. Off the beaten track, Zadar is less crowded with tourists yet still offers all of the magic of Roman ruins, medieval churches and ancient architecture. The Old Town at the heart of the city is where all of the best sightseeing happens but don’t miss the string of alluring beaches along the coastline and the excellent ferry connections to nearby islands and parts of Italy. Check out our apartments in Zadar here. We love the idea of spending a few days at one of these cities: the combination of ancient ruins and beautiful beaches sounds perfect. If you do too then take a look at our selection of villas in Croatia. Which city in Croatia do you love?